The first time I tried the Pocket Audio, it baffled me as to how something this compact can sound impressively loud. Even my wife and kids were astounded by the amount of sound this little speaker was putting out. But that’s not all it could do. There’s more. Play music from a Bluetooth-equipped audio device or audio source that is compatible with A2DP, such as an iPod, iPhone, iPad, Android device, PC or Mac. Play music from a device connected through a 3.5mm audio cable. Use the device as a speakerphone for a Bluetooth-equipped mobile phone. 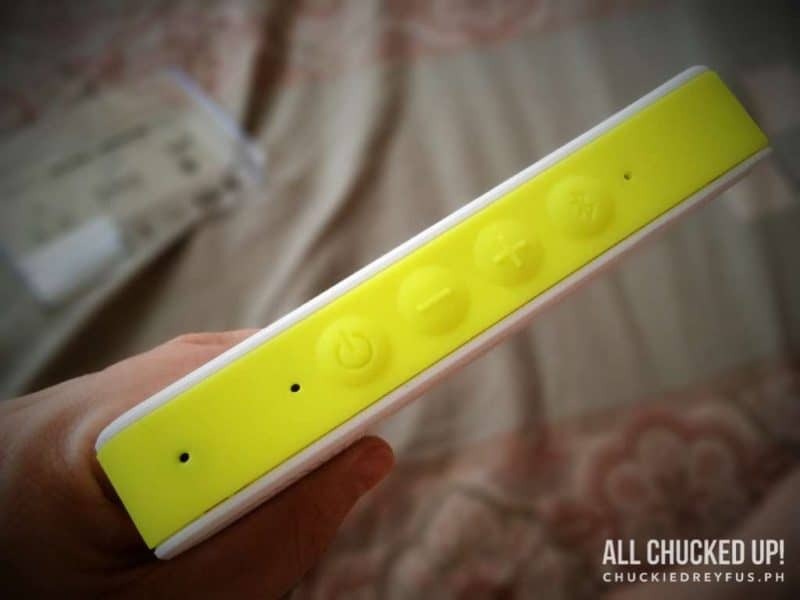 Connect and play media through up to 2 Pocket Speakers at the same time. 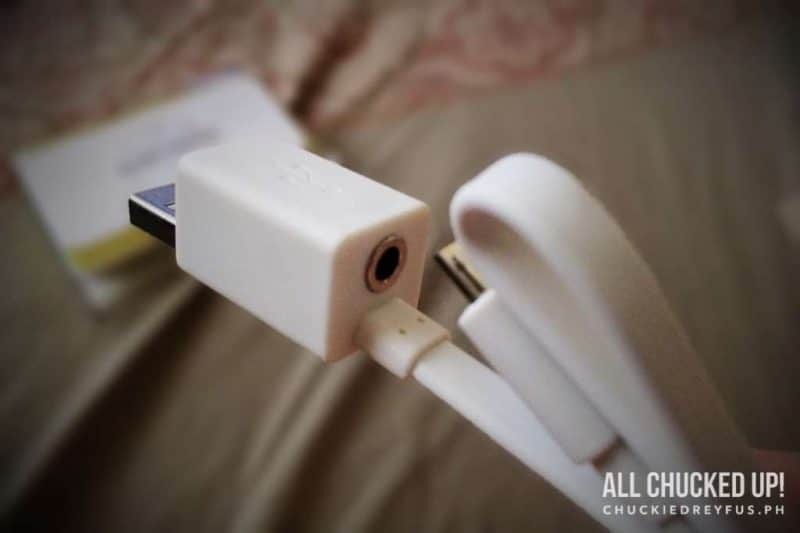 The Carbon Audio Pocket Audio also has a special USB cable that has a built-in 3.5mm outlet which is specifically meant for connecting devices through an audio cable instead of via Bluetooth. Apart from Carbon Audio Pocket Speaker’s versatility, its battery life is nothing to sneeze at either. With 8 hours of continuous playback, you’re guaranteed to have music anytime of the day, anywhere you’re at. Let’s get one thing straight, though. 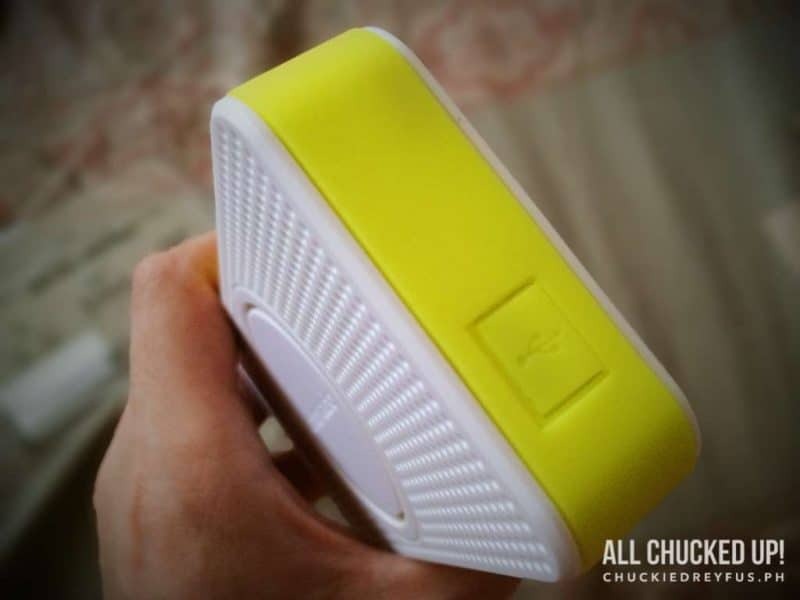 Playing back the Pocket Speaker in a very noisy environment can still drown out its sound… BUT it’s going to take a really noisy environment to do that. 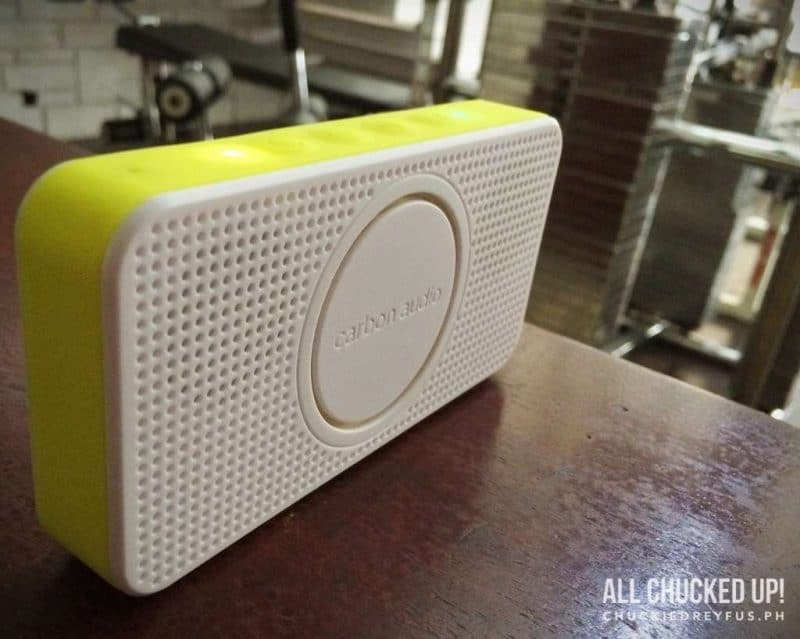 The Pocket Speaker is not a boom box in terms of a deep bassy register if that’s what you’re thinking. Far from it. But, boy is it LOUD. No kidding. It’s an absolute joy to listen to. `I actually brought the Carbon Audio Pocket Speaker along to the gym just recently and used it instead of the gym’s in-house huge drum-type speaker. Although the Pocket Speaker didn’t have the kind of low register that the gym’s in-house device had, this little speaker was quite the badass! It was effortlessly providing ample music to a significantly spacious area and could also easily be heard from outside. I wasn’t even on max volume then. 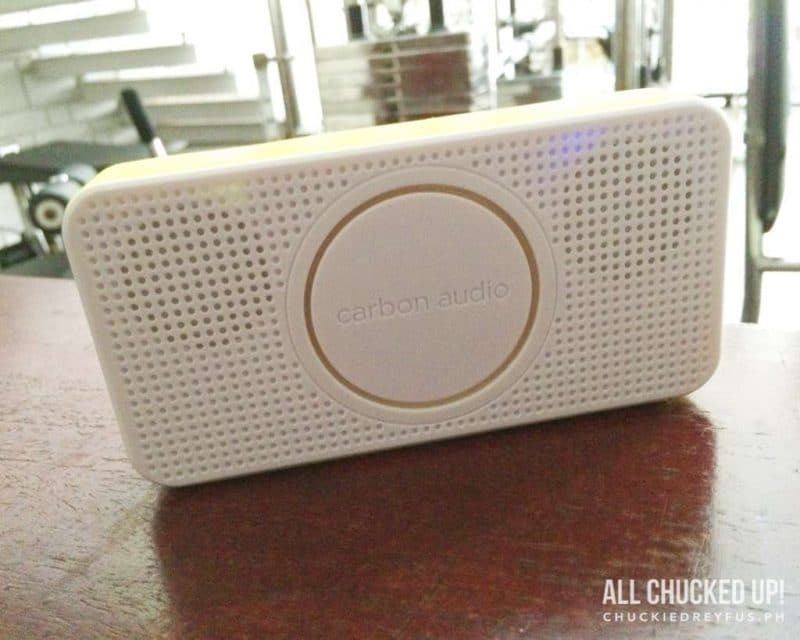 Overall, the Carbon Audio Pocket Speaker is one very cool gadget. Aside from it providing hours of fun and entertainment, it makes for one really cool conversation piece as well. I can imagine placing the Pocket Speaker on top of a coffee table or maybe position it inconspicuously by the console table where no one would notice and just playback acoustic covers when guests and family visit your home. But that’s me. Maybe your idea would be to place it front and center, blasting out soft rock or pop music. Either way, it’ll work just fine. Here’s the bottomline… The Carbon Audio Pocket Speaker was meant to be brought along and was designed to be extremely portable without compromising sound quality. 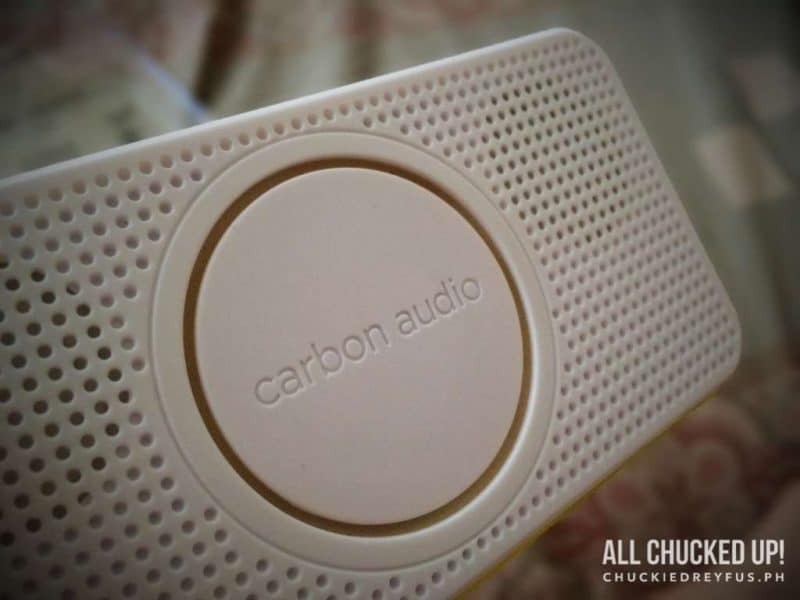 If you’re on the lookout for speakers that are conveniently small yet versatile and audibly impressive, the Carbon Audio Pocket Speaker might just be right up your alley. It is, in my opinion, the Goliath among all the little Davids in its category, if you catch my drift. Very impressive. And with a reasonable price of Php 4,950.00, you don’t have to go looking around in tiangge stalls for cheap knockoff speakers that actually sound like crap. 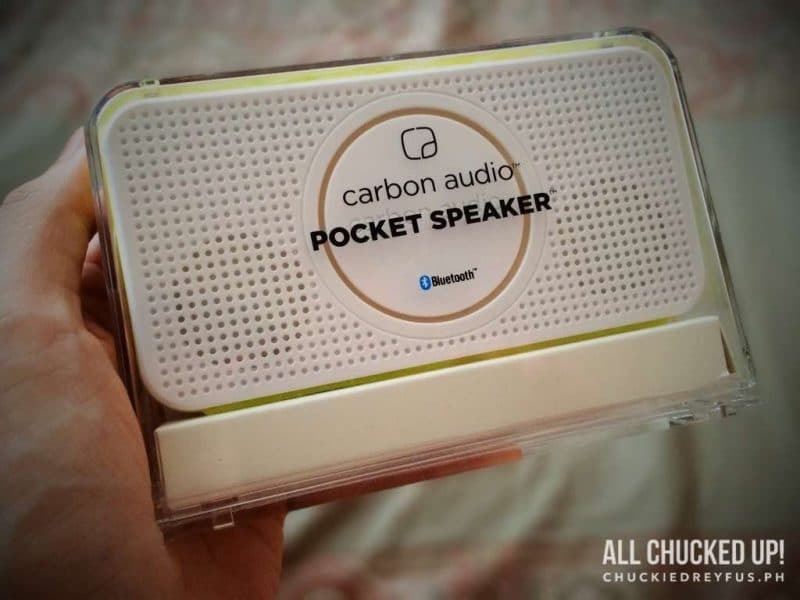 Grab the Carbon Audio Pocket Speaker because it is literally a “party in your pocket”. The Carbon Audio Pocket Speaker is available at Beyond the Box, Digital Walker and Digital Hub outlets.